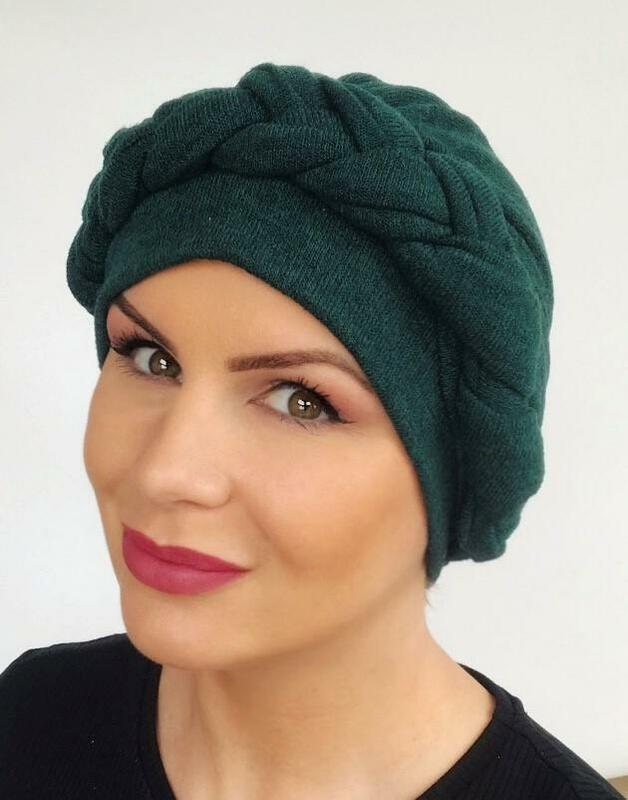 Beautiful Woolen hat for hair loss which is lined with bamboo so will not irritate head. Perfect for those nippy days and nights. Braid detail provides height at the head which will disguise hair loss.